Game's on for Dennis Miller; Matt Lauer lands two princes. 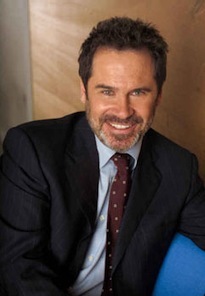 ***Conservative comedian/talk show host Dennis Miller has signed to host Grand Slam, a new GSN cable network series featuring 16 big-money game show winners. Premiering Aug. 7th, it's from Who Wants to Be a Millionaire producer Michael Davies, whose first grand prize winner from that show, John Carpenter, will be one of the combatants. Jeopardy! streaker Ken Jennings also is in the mix, with others to be named later. The winner in a single-elimination format will take home a relatively pedestrian $100 grand. ***Today co-host Matt Lauer has landed two big fish in Princes William and Harry of Wales, who will do their first American TV interview with him. Show time is June 18th on both Today and Dateline NBC. Among other things, William and Harry will disclose their childhood nicknames. 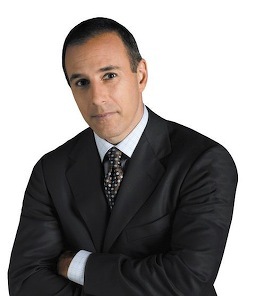 Why Lauer? Well, he's also hosting Concert for Diana, a prime-time NBC special scheduled for July 1st. Originating from Wembley Stadium in London, it's a tribute to their mother organized by William and Harry. You butter their scones, they'll butter yours. ***Numerous reports say that CBS now is strongly considering at least a truncated reprieve for Jericho after fans of the canceled serial drama demanded that the show tie up all of its loose ends. The network reportedly is considering a seven-to-eight-episode midseason run with a downsized cast. On a related front, Mark Cuban's Dallas-based HDNet has bought all 13 episodes of NBC's The Black Donnellys, which was canceled last month. Seven of the episodes of the serial drama never aired on broadcast TV, but were shown on NBC.com. HDNet will begin replaying all 13 -- in high-definition -- on Wednesday, June 13th. ***CBS11 and TXA21 have partnered with cable's The Weather Channel in an arrangement that will allow "content sharing" by all three parties. "We're proud to be teamed with one of the most respected weather brands in the country," says Regent Ducas, vice president of news for the D-FW stations. ***TNT will try to ease withdrawal pains from The Sopranos with a 12-hour Law & Order marathon featuring stars from the HBO series in guest shots. It begins at 1 p.m. (central) on Monday, June 11, the day after The Sopranos has its series finale. Look for the likes of Aida "Janice" Turturro (1 p.m.) Edie "Carmela" Falco (2 p.m.), Vincent "Johnny Sack" Curatola (4 p.m.), Michael "Christopher" Imperioli (8 and 9 p.m.), Dominic "Uncle Junior" Chianese (10 p.m.) and Frank "Phil Leotardo" Vincent (11 p.m.). Sunday night's first showing of the next-to-last Sopranos episode drew 8.02 million viewers to rank as cable's most-watched program of the week (May 28-June 3). ***ABC's Jimmy Kimmel Live has just notched its most-watched season ever, upping its nightly average viewership from 1.64 million in 2005-06 to 1.8 million. And the network's World News with Charles Gibson continues to solidify its first-place standing. It won for the sixth straight week (May 28-June 1) over NBC Nightly News with Brian Williams in total viewers and the main advertiser target audience of 25-to-54-year-olds.